If you are not a part of Eleanor’s Mystery Quilt Block party, you are missing out!! 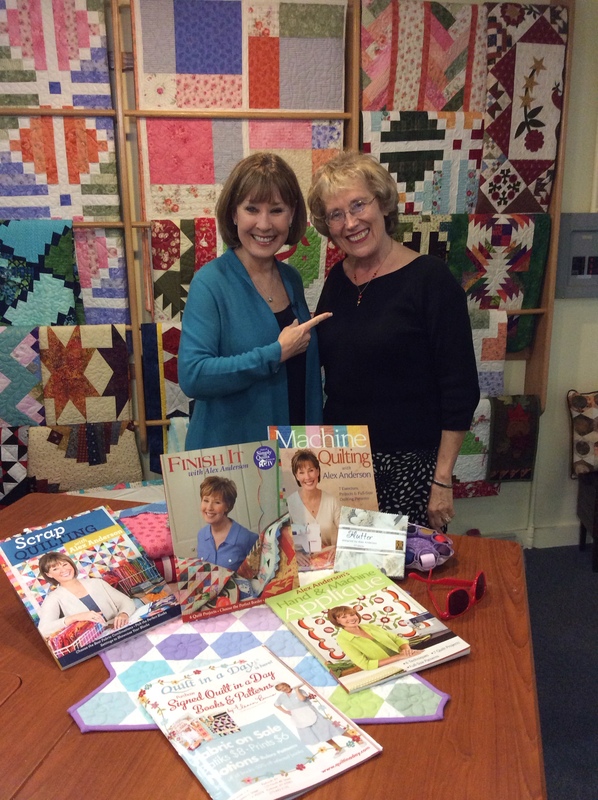 Last month, Marianne Fons was accused of stealing Eleanor’s quilt! You can view that episode at quiltinaday.tv here! With word spreading of Eleanor’s quilt missing, accusations began to point towards Alex Anderson !! Do you think she stole the quilt?! 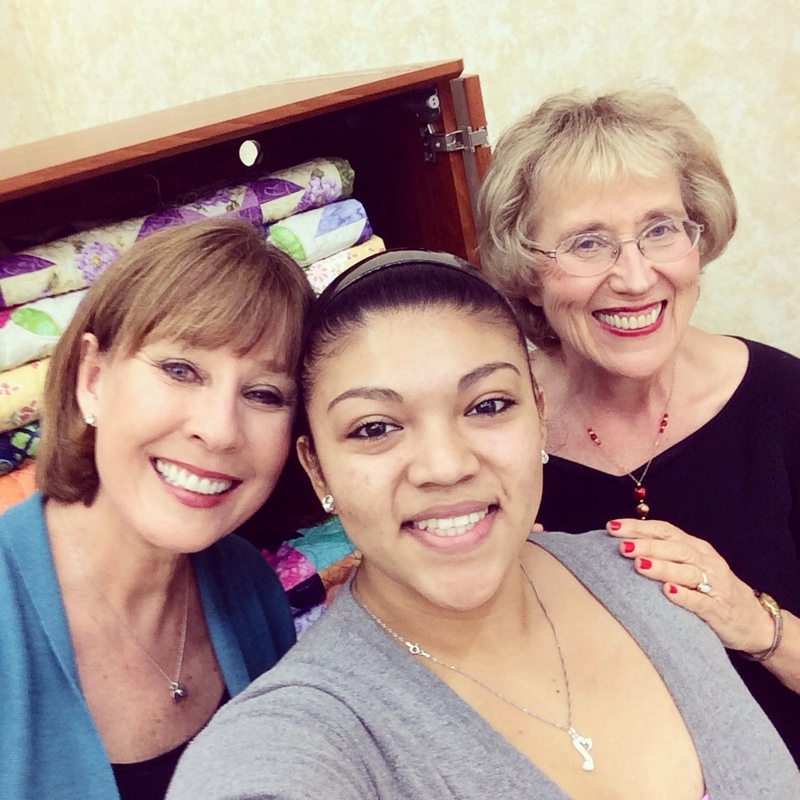 While Eleanor was “setting the stage” in the studio, I had a chance to interview Alex Anderson in the sewing room. 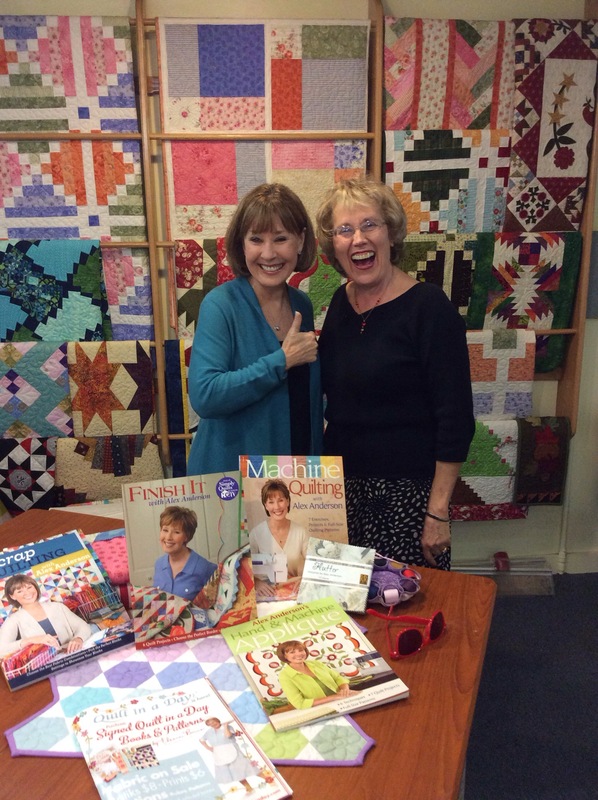 I have taken advanced acting classes, I was in advanced choir ensemble, I’ve coached little league sports for years… But standing in front of a camera and actually RECORD an interview , specially with a renowned quilting figure, is a FIRST for me!! By then, I had lost all of my words, my face made these weird expressions I didn’t think I could even do, my hands had a mind of their own and well, you get to witness it all here! Alex and I have met and talked before this. But I was still super nervous, she is a great sport and went along with my rambling! I hope you get to make heads or tails of it all! I had a lot of fun and a good laugh after the block party! I encourage you to watch Eleanor and Alex’s Mystery Quilt Block Party episode here! They work so well together on set! One more thing, if you haven’t noticed already, I have added a “Where is Ray?” Page! I now have a stuffed animal that looks like Ray that I take with me now. I take pictures of places and people with Ray to share with you all! It’s a bit of a documentation, for me, of places I’ve been and people I’ve met! Please take a look at Ray’s page and I hope you like it! Wow, fantastic. As a first timer, you did a great job! It will only get better and better! Congrats! I’m excited to practice and get better to provide my readers and followers a more pleasant visit to my blog! Thank you again for your comments, it means a lot to me! Thank you for that information! 😸💕 it worked!! Next Next post: Yay, my first sponsor and official business cards!